The Historical Aircraft Restoration Society (HARS) is pleased to recommend its series of Tarmac Days showing off some of the unique aircraft held at its headquarters at the Illawarra Regional Airport at Albion Park. The tarmac days will be held outside the HARS hangars and will involve the static display of some of our distinctive aircraft. Members of the public will be able to board and sit in some of the aircraft including the cockpits of aircraft like our F-111C fighter bomber and Neptune submarine hunter. There will also be guided tours of the aircraft on display. The Tarmac Days are held over three consecutive days, beginning on the second Friday of each month between 9:30am and 3:30pm. A video advertisement can be viewed here. Tarmac Days for 2019 will be held on 11-13 January, 8-10 February, 8-10 March, 12-14 April, 10-12 May, 14-16 June, 12-14 July, 9-11 August, 13-15 September, 11-13 October, 8-10 November and 13-15 December. For information on admission prices click here. 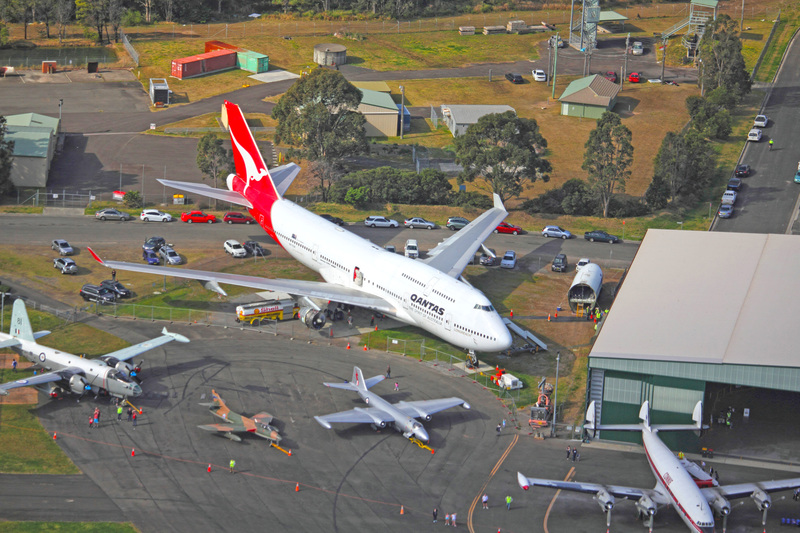 Please note that tours of our B747 are subject to weather.